Because 2016 is physically incapable of pressing the chill button, there is now a Fifty Shades of Muppets parody for your viewing pleasure, The Mary Sue reports. Not to worry, though: It’s nowhere near as disturbing as it sounds. Instead, the Darth Blender-created mashup features scenes from several of our favorite Muppets movies playing out over audio from the first Fifty Shades of Grey trailer, and TBH, it’s pretty friggin’ genius. Fifty Shades of Muppets reunites Kermit the Frog and his former flame Miss Piggy as a would-be couple involved in same plot as original characters Christian Grey and Anastasia Steele. For some reason though, reading the Muppets’ names in the description has us ROTFLOL. 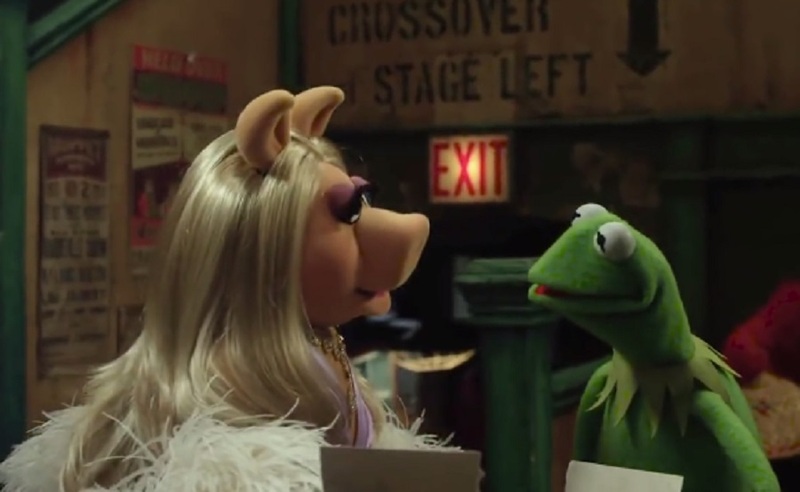 Miss Piggy is a modest and virgin student, and suddenly meets the powerful and charming businessman Kermit - The Frog. The attraction is immediate and soon begin an intense relationship in which Miss Piggy discover their deepest desires and pleasures of sadomasochism. Seriously?! We can’t even handle seeing the words Miss Piggy and sadomasochism in the same sentence. It just feels wrong even though we have to admit that it’s hella funny.